Saturdays lately have become a time to try out new dishes and to rekindle the frustrated wanna-be cook in me. 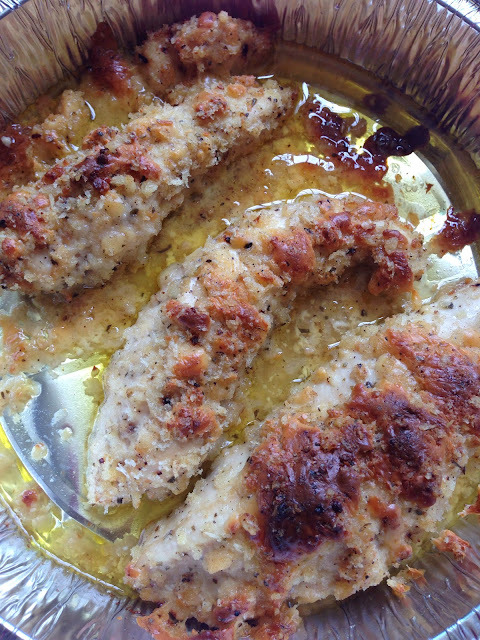 This weekend's recipe is an instant favorite: baked cheese and garlic chicken breasts! Truth be told, you'd never go wrong with butter, garlic and cheese! Yum! Here's an adaptation of All Recipe's version. I had to make do with what's available in our kitchen for my little "experiment". Easy to make and almost effortless to prepare, the result was something the husband loved. This is certainly I'd make over and over again. 2. On a low-heat pan, cook the minced garlic in the butter for 5 minutes. 3. On a bowl, mix the grated cheddar cheese, bread crumbs, salt and pepper and dried herbs (i used oregano and basil just because it was the only thing available in the cupboard.). Set aside. 4. 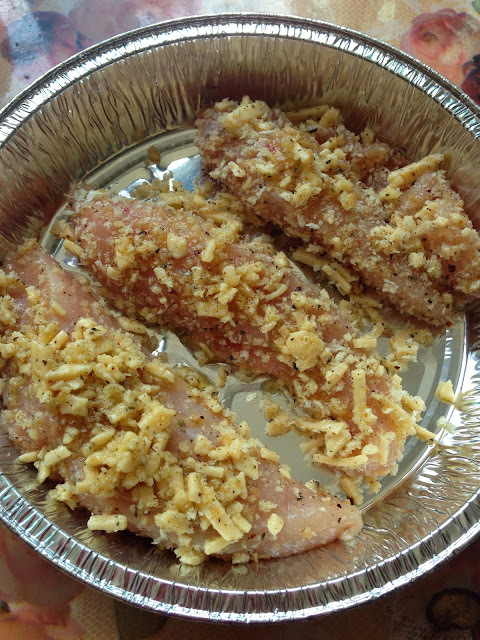 Dip the chicken breasts in the butter garlic mixture until it is well-coated. 5. 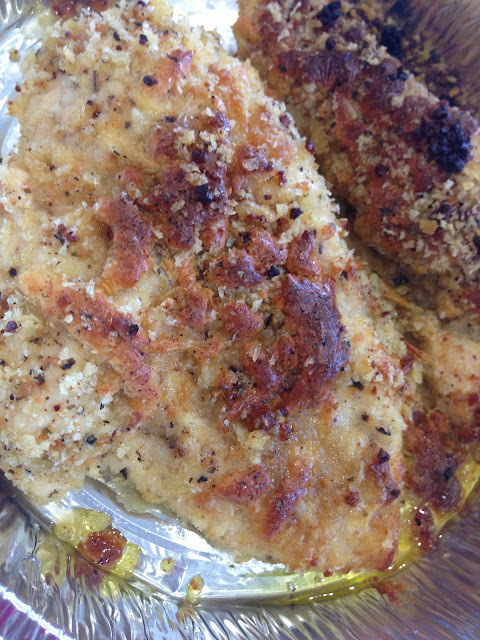 Coat the chicken breasts with the cheese/bread crumbs mixture and set in baking pan. Drizzle with remaining butter and cheese mixture. On its way to the oven. The outcome: Tender chicken breasts with so much flavor. Yum, yum!